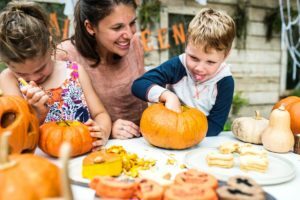 Most kids absolutely love Halloween and plenty of adults get in on the action too. It seems like each year, the Halloween fun gets bigger and better. Whether you live in a neighborhood with a fantastic cul-de-sac Halloween party scene or you’re taking the kids out for some trick-or-treat fun, getting great photos is a must. However, the evening lighting presents a challenge for getting great pictures of your favorite ghouls and goblins. Check out these tips for perfecting your Halloween pictures. Even though most of the trick-or-treating action is after the early fall sunset, make sure you head outside to catch some great shots before the sun starts setting. This extra time also gives you the opportunity to head to an area outside with a great fall scene or a backdrop related to the costume theme. 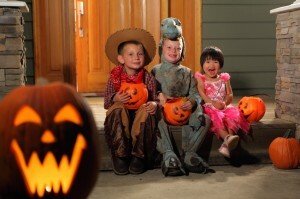 The nice lighting of the early evening will allow you to capture all the sweet or gory details of your little one’s costumes. If you happen to live on one of those great blocks that go all out for Halloween, grab all of the neighborhood kids for a great group shot. It will be fun to look back and remember those experiences with old childhood friends in years to come. Don’t forget to get down on the child’s level for the best angle. If you really want to do something cool that your child will really love, take some time during Halloween to take some really memorable photos. If your child is obsessed with dinosaurs and dressing as one for Halloween, take them to a park with some cool rock formations to take some prehistoric fun. If you have a horse loving child who will be galloping their way through trick-or-treating, take them to a farm and get some great shots on hay, in a barn, along fences, and with some real horses. Be creative. The sky is the limit. Those photos will also look fantastic framed in their bedroom. After you were able to capture some great posed shots with your children with better lighting, the darker evening hours have arrived. But, you still want to be able to document them enjoying the fun of trick-or-treating. Since most of us are solely using our smartphones for taking pictures these days, check out your phone settings a few evenings before Halloween and test them. It’s likely that you have some preset capabilities to improve your low-light photo dilemma. If not, increase your ISO to a higher setting to help compensate for the lack of light. Another fun idea is to get creative with the light from candles, jack-o-lanterns or glow sticks. Ten years ago, when the nation’s top tech expert, David Pogue wrote “Your Photos, Off the Shelf at Last” in The New York Times, he put photo scanning on the map. Since then, much has happened, including this news profiles as ScanMyPhotos rushed to digitize 600 million pictures. 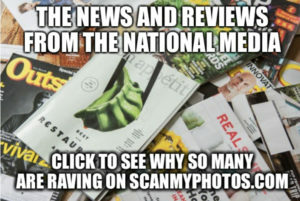 The news profiles over all these years helped launched a crusade – advocating that everyone must start thinking about genealogy, preservation of memories and sharing photos for today’s all-digital world and so this never happens again. 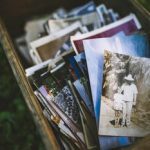 “But, the challenge has always been how to embrace technology to affordably archive and preserve shoeboxes of family photos?” explained Mitch Goldstone, a pioneer in digital imaging and CEO of ScanMyPhotos.com. By commercializing a unique way to provide professional photo scanning at lightning-fast speed, a major breakthrough occurred. 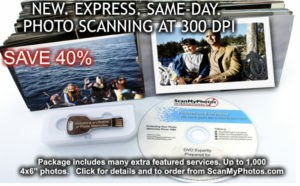 Having solved the biggest problem in photography, ScanMyPhotos.com is helping to unlock millions of analog photo snapshots. For $125, the company scans 1,000 photos in minutes and now features same-day scanning with instant uploading. Why wait months, or buy a DIY scanner that costs $600 or more before even beginning your photo preservation project? Another recent profile was written by Fupping on the top gifts to celebrate a grandmother’s 80th birthday. Every grandmother has generations of emotionally nostalgic photo snapshots that urgently need to be digitized in today’s all-digital world, to preserve and share. 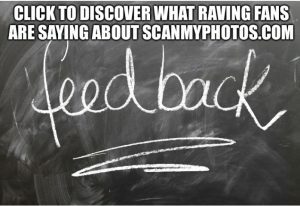 ‪ScanMyPhotos.com‬ solved the biggest problem for gifts for seniors: how to easily have photos digitized for uploading to all the popular photo-sharing sites. Our free shipping and $145 prepaid box is easily ordered online and holds about 1,800 photos. We do all the work, you get all your photos digitally backed up. Return S/H includes your digital media, add $19..95 to cover S/H if you want your pictures returned. By scanning pictures, grandparents share their stories as they revisit all those decades of nostalgic memories with future generations. While ScanMyPhotos champions scanning of your photos to protect them from the unforeseen, we also feature professional 35mm slide scanning services. Each slide is individually hand scanned by our professional technicians, you can select to have each adjusted to achieve the optimum color and density so you end up with the best possible scan at either 2,000 or 4,000 dpi. One issue that arises though is scanning Kodachrome slides and trying to use the Digital ICE process. It is a very powerful scanning tool built into nearly all current slide scanners however, Kodachrome tends to be tricky to scan. First a little history and then we will discuss the issues that everyone faces when scanning Kodachrome. Kodachrome is famous for, among other things, being the topic of a Paul Simon song, a U.S. State Park in Utah (Kodachrome Basin State Park) and being tricky to scan. The film itself was introduced by Kodak in 1935 but was discontinued in 2009 and nearly all processing of the film stopped in 2010. Since the film was discontinued, there was no reason for labs to continue processing the film since processing was complex and exacting, requiring technicians with extensive chemistry training and large, complex machinery. Think of them as the Walter Whites of film processing. Advanced Photo System (APS) is a discontinued film format for still photography that began production in 1996 as a one-off gateway to digital photography. 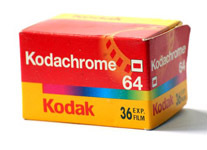 It was marketed by a consortium of photography companies, including Eastman Kodak under the brand name Advantix, FujiFilm as Nexia, Agfa under the name Futura and by Konica as Centuria. The problem is there are hundreds of millions of these still-analog cartridges fading away. Most people have no way to view those memories. One APS distinction was its ability to record information other than the image, including its barcode for easier identification. 1998 commercial for Kodak Advantix system. 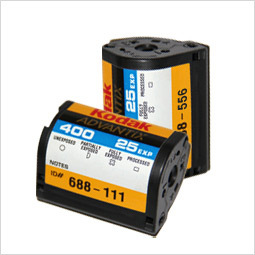 Jim Gaffigan shows off the various features of the Advantix system which was Kodak’s branding of APS. APS’ advantages included drop-in loading and multiple image shapes including panoramic, which was experiencing a jump in popularity at the time. Though APS was a type of film used only for a short time, the images captured on those negatives might be some of your family’s favorites. Preserve them with scanning! Take advantage of this easy way with pay one price –regardless of exposure count (15, 25, or 40 exposure). When ordering, choose 2,000 dpi JPEG scans for just $7.95 per roll or 4,000 dpi for $12.95 per roll. All APS cartridges are also returned to you.